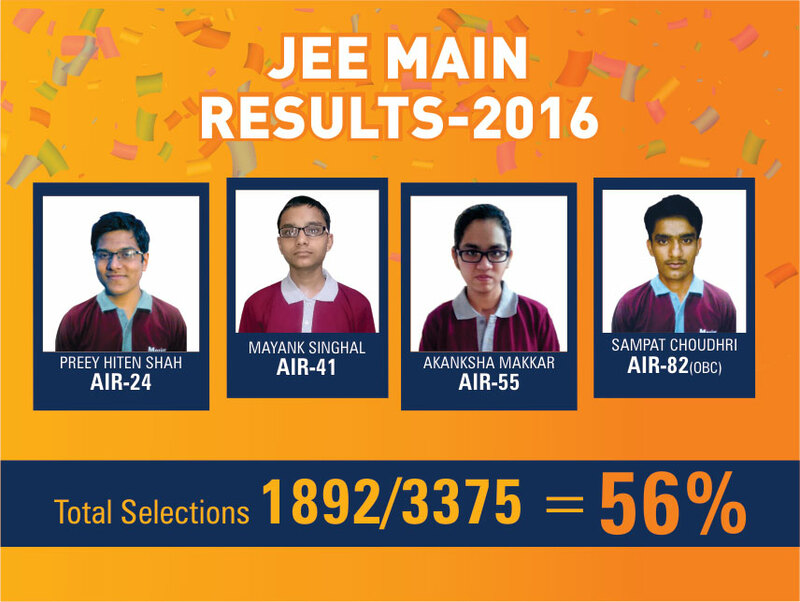 Motion created history in Kota Coaching with highest percentage selections in JEE Main 2017. 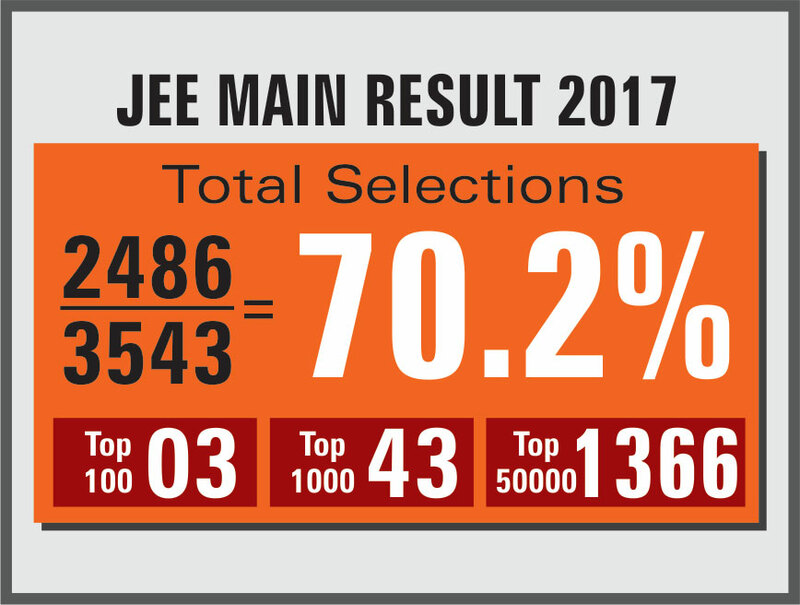 In JEE Main 2017 Motion’s selection ratio was at a whopping 70.2%, with 2486 out of 3543 students getting selected. 1492 selected students were from Kota classroom and 397 selected students from outside center classroom program. 597 selected students were enrolled in Motion’s Distance Learning Program.